When visiting my son in MD he keeps a busy schedule, packing his life with family and personal fun. 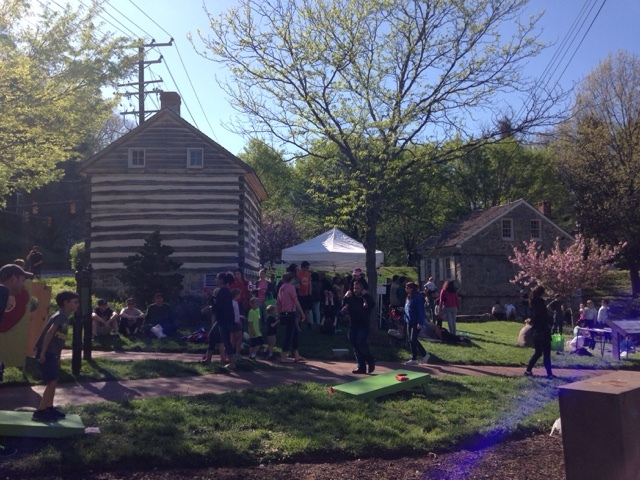 I arrived on Friday and it rained overnight and Saturday AM but Saturday PM the skies cleared and we all went to the nearby town of Ellicott City for their spring fest. This town has an old quaint center with nice old, well maintained, buildings with many unique shops and restaurants. This festival is very well attended that we needed to park just over a mile away and take the shuttle bus. There were two major areas for the public to gather for the festival. The one above has live music, beer and food vendors. The other area was a short ways down the street and much larger. Both areas had children's activities. 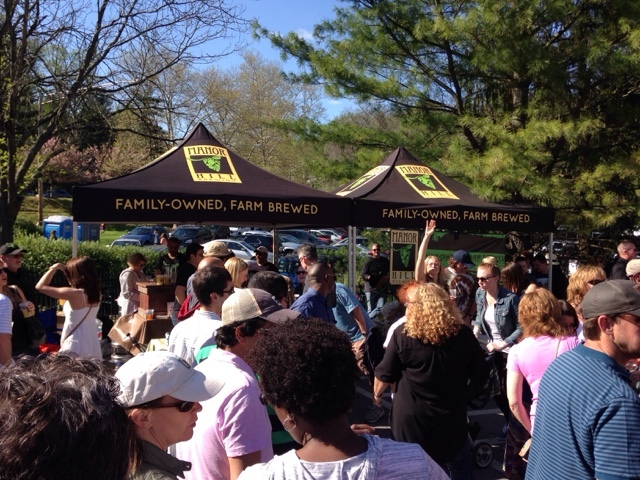 The businesses set up in the designated areas were overwhelmed by the number of people looking to buy food and drinks. Some even ran out of food. Although crowded, it wasn't so crowded that it made it totally difficult to move but the crowd did create long lines. 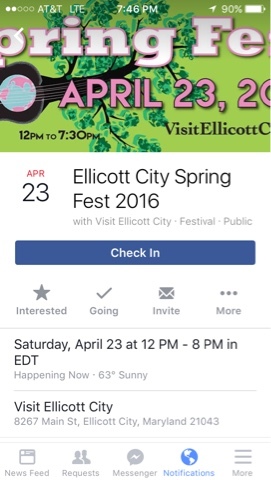 If you haven't been to Ellicott City and you come to this area just south of Baltimore, I recommend you check it out.